I don't know about anyone else, but I get easily bored of the same old bedding, cushions and blankets and I'm currently hoping to give my bedroom a bit of a spruce up and change things around. I need look no further than H&M. 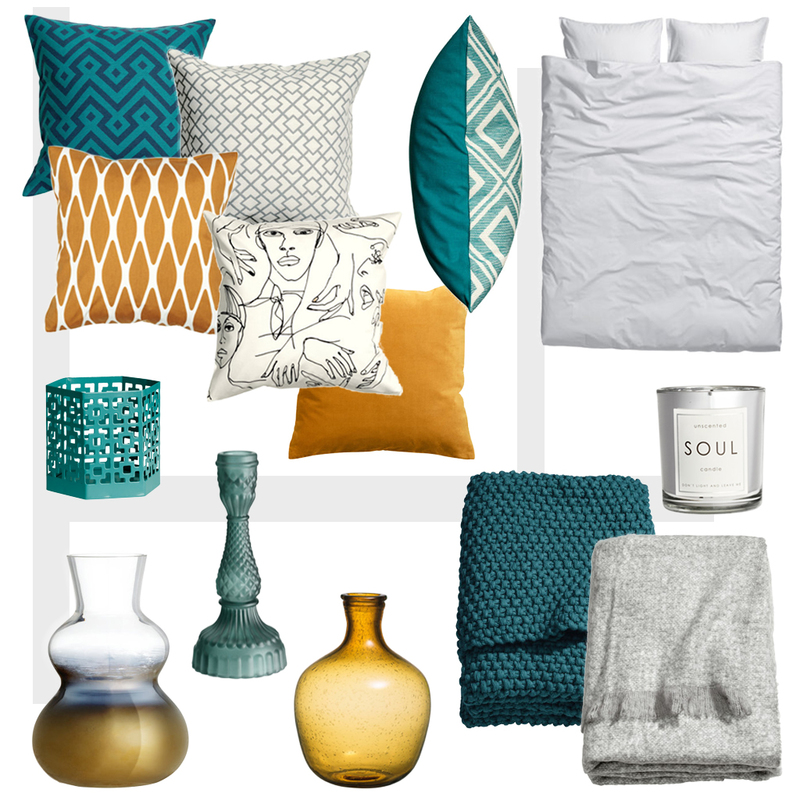 Their home collection is extensive and has a little something for everything. Having had a fairly neutral interior for the last few years I fancy a bit of vibrant colour and richness and these teals and yellow golds are the ideal accessories to warm up the greys. Keeping walls and large furnishings white means that you can regularly update the space with different colour schemes and play around a bit without having to fully redecorate. Mixing up textures and patterns in a tri-colour scheme ensures the room won't become overcomplicated with huge numbers of colours but maintains interest. Also, a great tip is buying everything from one store as it is likely they'll have several products in the same colours, making it super easy to ensure everything matches! What do you think of this colour scheme?